A vibrant and powerful tenor voice in combination with an electrifying stage presence has earned Ric Furmana solid standing as one of the world’s emerging dramatic tenors. He made his Seattle Opera debut singing the role of Florestan FIDELIO where he earned international acclaim “with a mellifluous tone … he demonstrated a much more beguiling sense of dynamic shading, and he was thoroughly compelling in his evocation first of utter despair and eventually of exultant joy.” (Seen and Heard International). He was invited back to Seattle Opera for the DER RING DES NIBELUNGEN, earning praise for his “sweet toned” (Opera News) and “clarion-voiced” (Pacific Aisle) Froh. Upcoming engagements include Siegmund DIE WALKUERE for Theater Magdeburg, Erik DER FLIEGENDE HOLLÄNDER for Hessisches Staatstheater Wiesbaden and Boris KAT’A KABANOVA for Scottish Opera. Additional credits include Narraboth SALOME with Portland Opera, Bacchus ARIADNE AUF NAXOS for Virginia Opera, Rinuccio GIANNI SCHICCHI for Pittsburgh Opera, Augustin Moser DIE MEISTERSINGER VON NUERNBERG with Cincinnati Opera and Tristan TRISTAN UND ISOLDE for the Wagner Society of Cincinnati. He made his German debut as Anatol VANESSA at Theater Hagen returning there for performances of Pinkerton MADAMA BUTTERFLY and Florestan FIDELIO. Mr. Furman is also an ensemble member of Staatstheater Wiesbaden where his roles include Pinkerton MADAMA BUTTERFLY, Rodolfo LA BOHEME, Erik DER FLIEGENDE HOLLÄNDER, Don Carlo LA FORZA DEL DESTINO, Kaiser DER FRAU OHNE SCHATTEN, Pollione NORMA, Cavaradossi TOSCA, Walther von Stolzing , Grigori BORIS GODUNOV and Siegmund and Siegfried DER RING DES NIBELUNGEN. 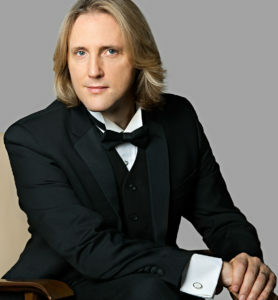 Other recent guest engagements include Buergermeister FRIEDENSTAG and Apollo DAPHNE at the Palace of Fine Arts in Budapest, Prince RUSALKA for Theater Magdeburg, Erik DER FLIEGENDE HOLLÄNDER and Apollo DAPHNE for the Hungarian Philharmonic Orchestra and Florestan FIDELIO for the Deutsches Nationaltheater & Staatskapelle Weimar. On the concert platform Mr. Furman has performed excerpts from both SIEGFRIED and GOETTERDAMMERUNG, PARSIFAL and DIE WALKÜRE and has made appearances at Carnegie Hall and with the Cincinnati Symphony Orchestra, Dayton Philharmonic, Kentucky Symphony Orchestra and the Omaha Symphony Orchestra.